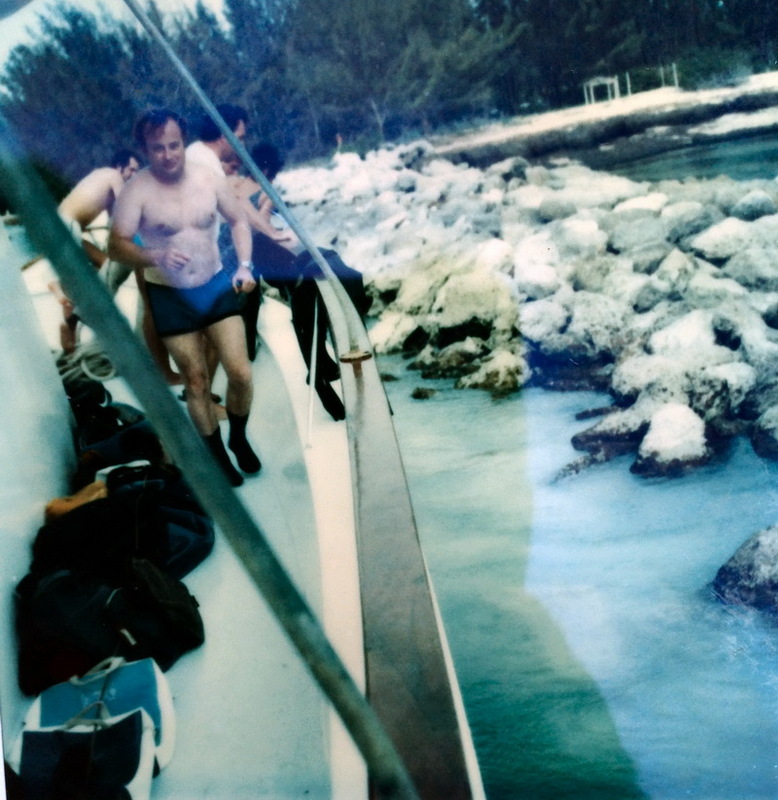 After diving for about two years, in 1979 I decided to take a four-day diving trip to the Bahamas on a boat called the Impossible Dream. 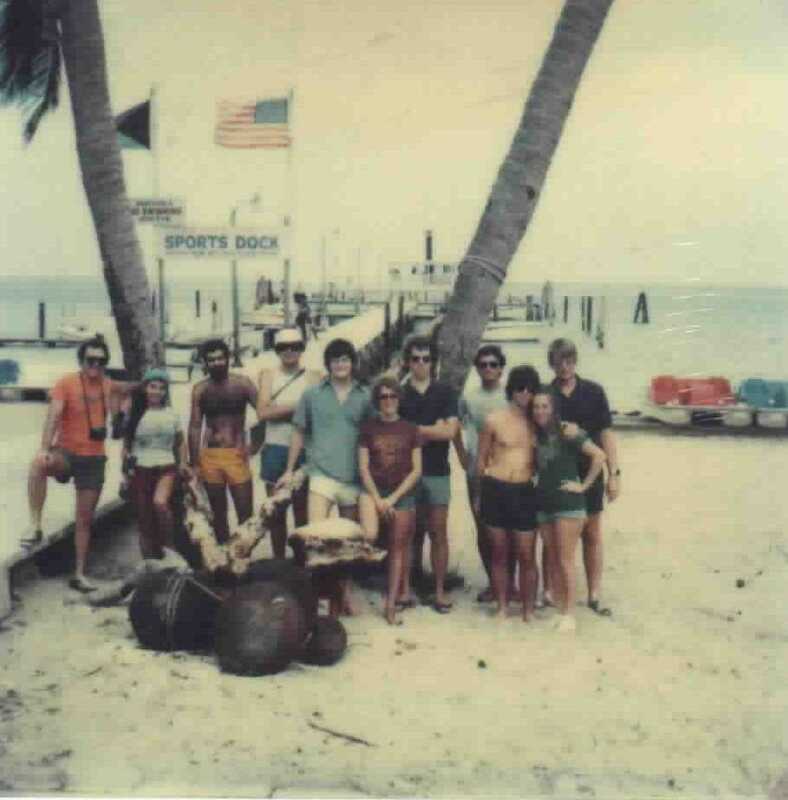 The original trip was scheduled for a weekend that a hurricane came up the coast of Florida so the trip was rescheduled for the following weekend. The boat was to leave mid Saturday morning from West Palm Beach so I got up quite early and drove down to West Palm from where I lived in Indialantic. Well as typical for me, I got there early, too early and they were not allowing people to board yet so I decided to go get something to eat. 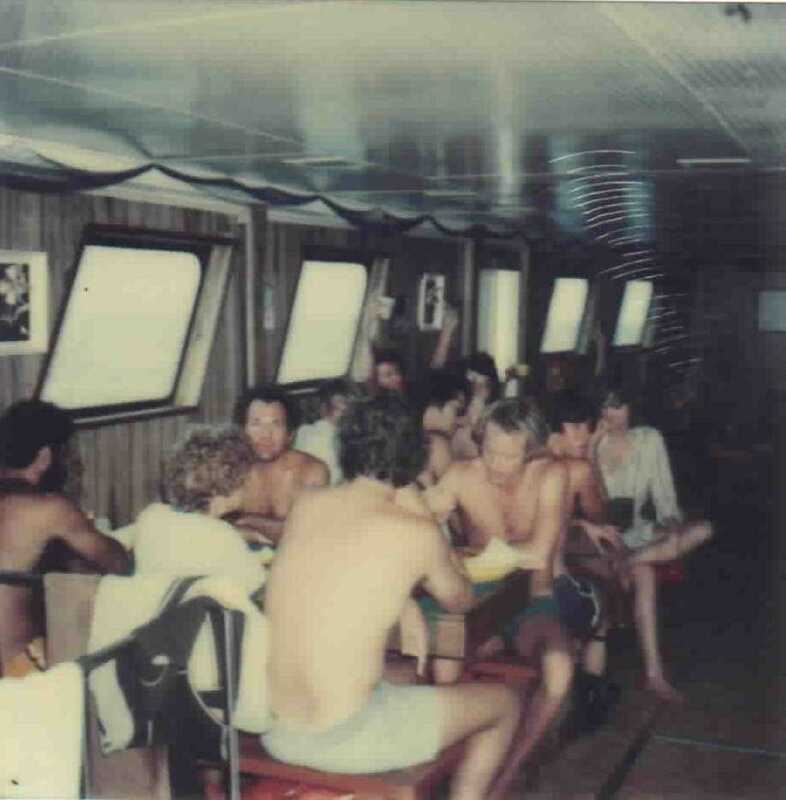 When I got back to the boat I found that a lot of people had shown up and all the best bunks had been taken. The best bunks were in the stern of the boat, the reason why I didn't find out until later. As it ended up, I go a room in the bow that had and upper and lower bunk and I took the upper. A bit later, another late arriver, a middle eastern woman in her mid thirties showed up and she took the lower bunk. 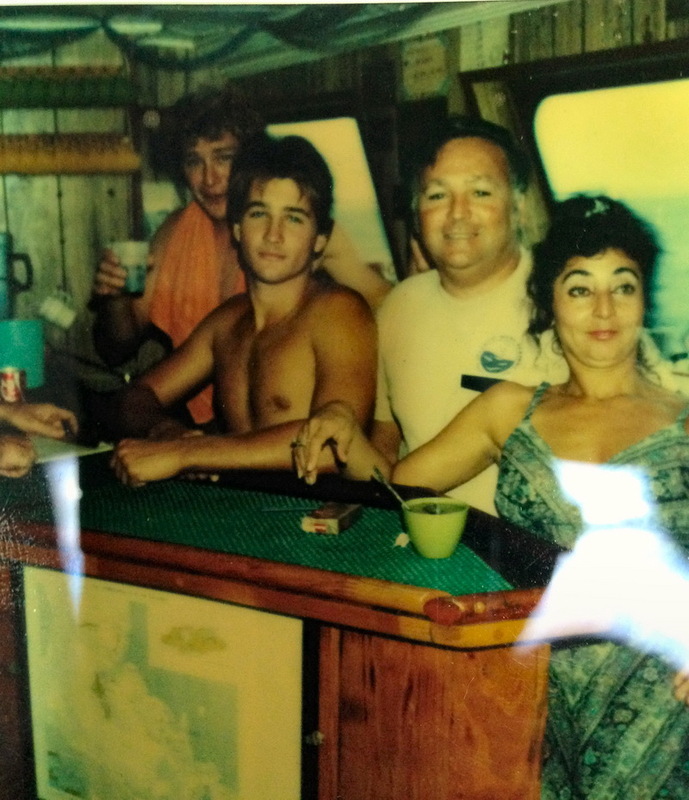 When everyone was aboard we pulled out of port and headed to sea for the crossing to the Bahamas. It was a crossing I will always remember. As I mentioned, a hurricane the previous week delayed the trip but in addition, it made the winds and seas very rough. We had about nine foot waves for the crossing and the ship would go up and down, up and down, crashing into each wave. Well I get seasick relatively easily so needless to say, I wasn't feeling too good. I tried going to my bunk to lay down which was when I found that the bunks in the bow went up and down all nine or more feet with the waves so I ended up spending a lot of time on the rear deck which didn't go up and down as much but on the other hand there you got the fumes from the diesel engines which really did a number on my stomach. Fred, a friend I had met in my diving class also was went on the trip and he said he had some seasick pills and he gave me the first of several on the trip but they didn't seem to help any. 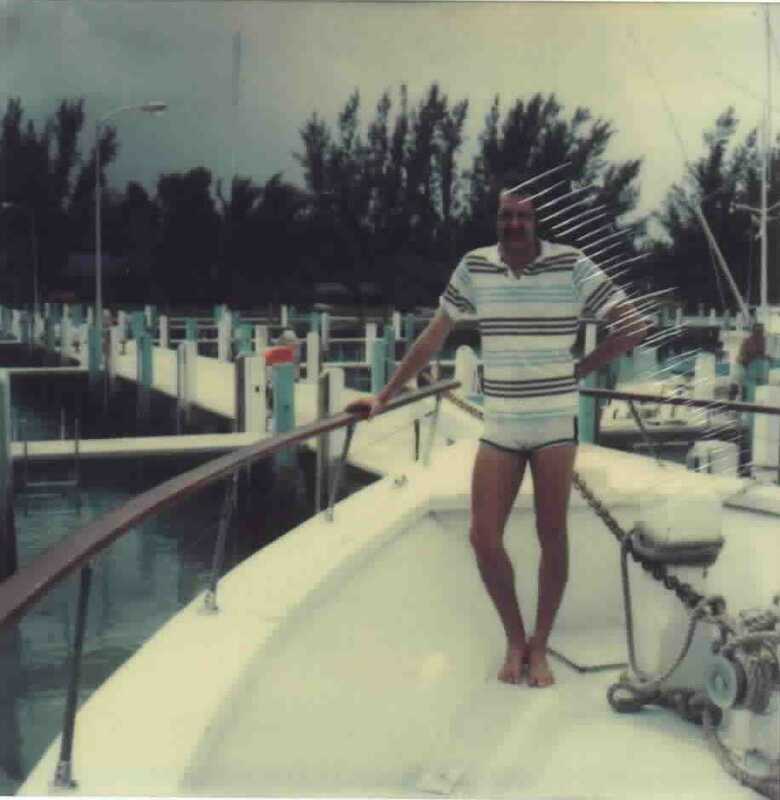 I was really relieved when we arrived at the first Bahamas island and the boat parked on the down wind side of the island where it was relatively calm. Then the captain announces the outboard motor on the small "chase" boat used for picking up divers had fallen off during the rough trip over. This meant that we had to stay closer to the boat for they could not come pick us up if the current took us away during the dive. We then proceeded to put on our gear for the first dive of the trip and it went pretty well. Once I was under the water I got relief from the bobbing and rocking of the boat and felt much better. The seas were calming down but at dinnertime but I didn't feel like eating much. That night the seas finally calmed down and I slept pretty well. We did do several interesting dives. There were several reef dives in which the reefs were absolutely beautiful. We also did one dive a few hours before dinner in which we all went out and caught lobsters. 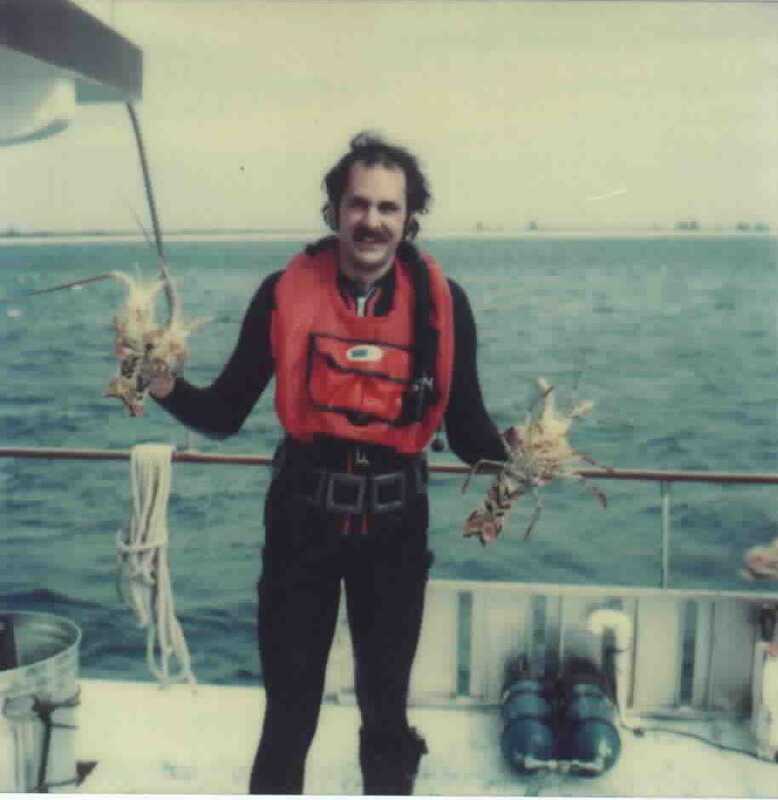 We must have caught at least two per person and we had a fantastic lobster feast for dinner that night. There was a night dive what was most interesting. It was kind of scary at first for you look at the surface of the water and it looks pitch black but there was a full moon out and once you got under the water it was like a dream world with the eerie light of the moon. At night you see all different kinds of fish than you do during the daytime and the lobsters come out and are just walking around. Many of the day fishes just sit there and you can go up to them and touch them. There was one reef we went to off of Grand Bahama Island which the reefs were ten to twelve feet tall with a maze of passages between them. Unfortunately the pollution from the island had killed the reefs for they were all brown but it fun to swim around and explore the maze. Sometime later in the day I was talking to my "roommate", the middle eastern woman and found out that she was a belly dancer which she gave a brief demonstration. I mentioned that I took modern dance and demonstrated some dance moves. That evening as we were preparing to go to bed I was going to step out of the room to allow her to change and she grabbed me and kissed me. Well in a few minutes, we were in bed together making love. She proved to be an interesting experience. A few weeks after the dive trip I heard a knock on the door and there she was. I invited her in and once again she grabs me, kisses me and before long we were in bed together. A most interesting, awkward experience happened a few years later. On my 30th birthday Julie threw a surprise birthday party for me and invited a dozen or so of our friends. She also arranged for a belly dancer to dance and do the sit on the lap routine. Well you guessed it, much to my surprise it was the belly dancer from the dive trip. Wow, did that feel weird, neither of us let on that we knew each other. One afternoon we were supposed to go to a small resort on one of the islands for some entertainment, food and so on. To get there the boat had to go up this narrow channel but about half way up the channel the boat ran aground. After running the engines forward and backwards for an hour we were still stuck. Not only that but sand had gotten into the auxiliary engine inlet that powered the electrical generator so they had to shut it off and we had no air conditioning which made it unbearable to go below and rest in your room. The captain then said we had to wait for high tide to try again so we sat there for several more hours. We finally did get free but missed going to the resort and walking around the Island. On the trip back, Fred, my dive buddy came up to me and said, "Larry, you know those seasick pills I have been giving you, I got mixed up, they were actually decongestant pills!" As we were headed back to Florida, the ocean was dead calm, there was a green phosphorescent glow trailing us in the churning wake of the boat, the full moon rising behind us reflected on the water and the night sky filled with stars. It was a most beautiful experience. A Tom Albano came across my website and said he and his father were also on the same trip and sent me the following photos.